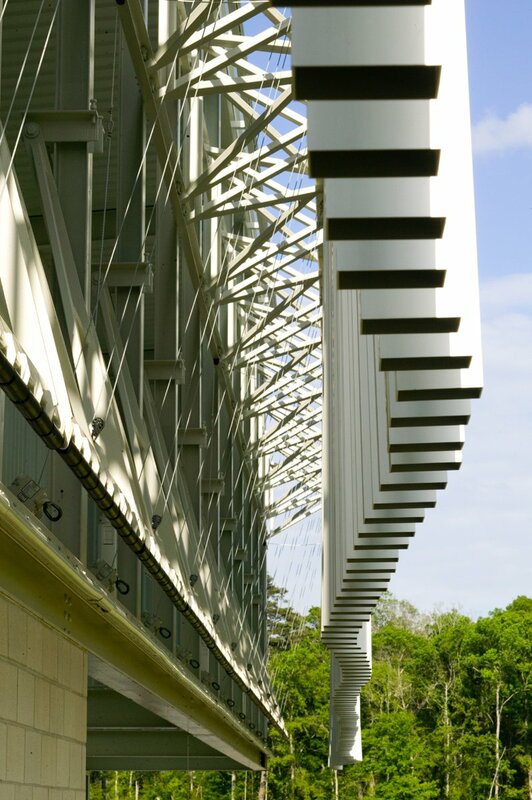 In conjunction with the California Institute of Technology (Caltech), this 8,500 square foot facility was designed as a means of making the science visible, incorporating a kinetic exhibit of wind-activated pendulums along the entire face of the facade. Making learning infrastructure literally transparent teaches students the workings of the world. The LIGO Livingston Observatory Science Education Center captures the sensorial, experiential joy that children discover in science. 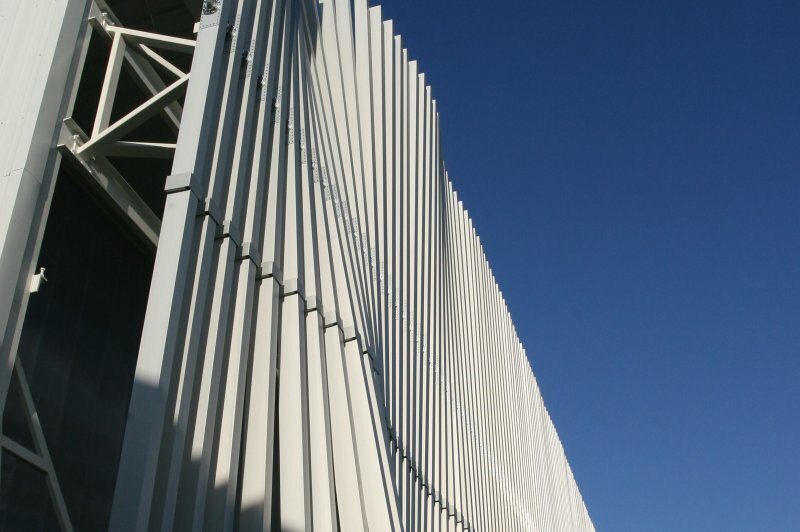 It incorporates a kinetic exhibit of pendulums, each magnetically coupled with its neighbor and held along a single pivot point, so that the whole wall reveals beautiful fluid-like motions as energy is transferred from one pendulum to the next. 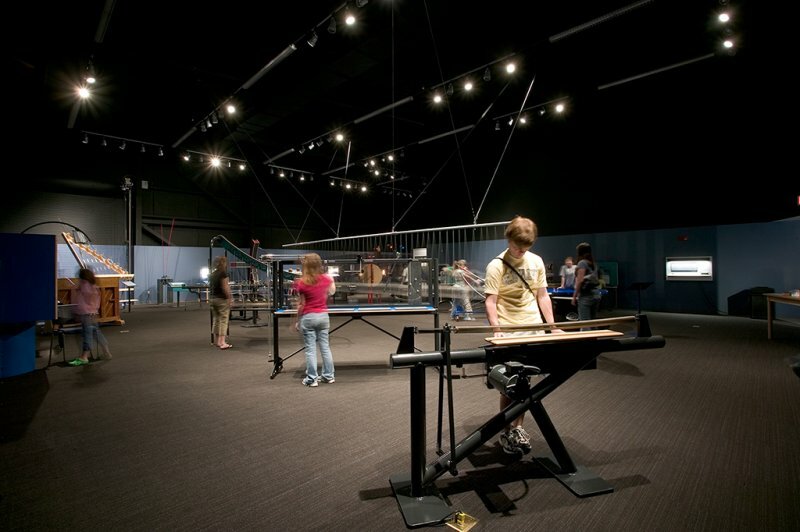 Within, a Science Education Center was designed to allow students to explore and receive hands-on education related to LIGO experiments. 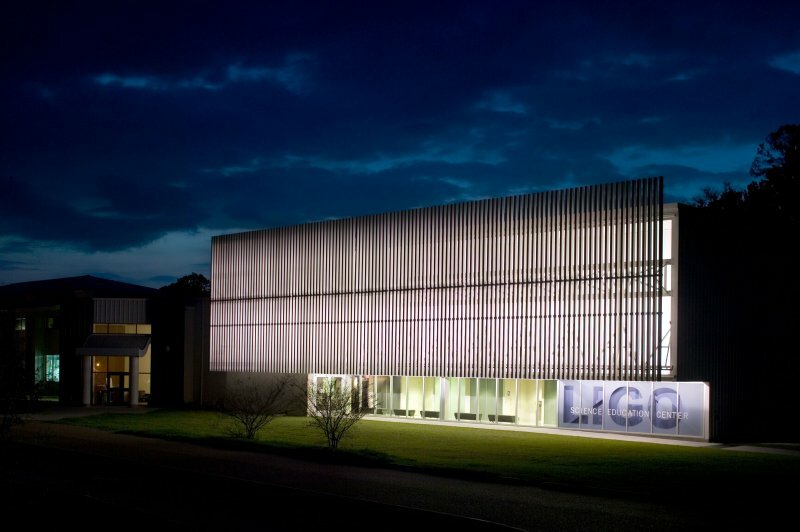 Allowing them to to access, visualize, and interact with the scientists in their work environment, the facility establishes a new interaction with the community for the LIGO facility and its Educational Outreach Program. The center mirrors the themes of the Science Center—wave propagation, gravity, resonance and light—all directly related to LIGO’s mission of detecting gravitational waves.